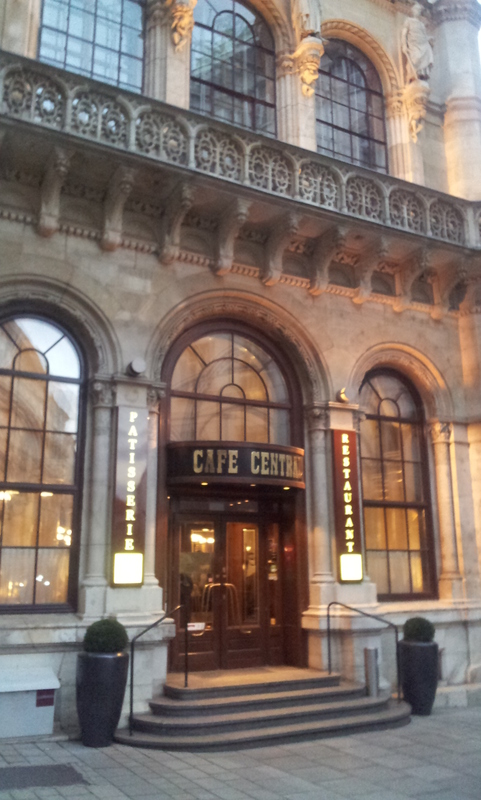 The Café Central is one of Vienna’s most prestigious coffee shops, established in 1868. 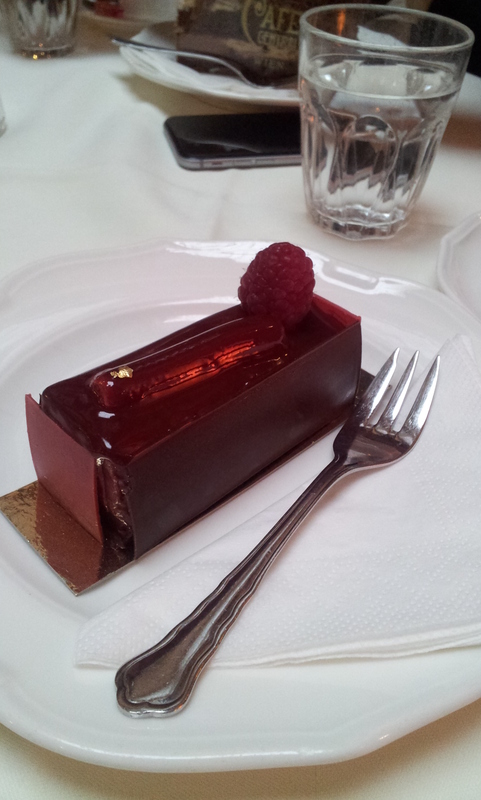 Imho the Café Central is THE most luxurious coffee shop you can experience in Vienna. 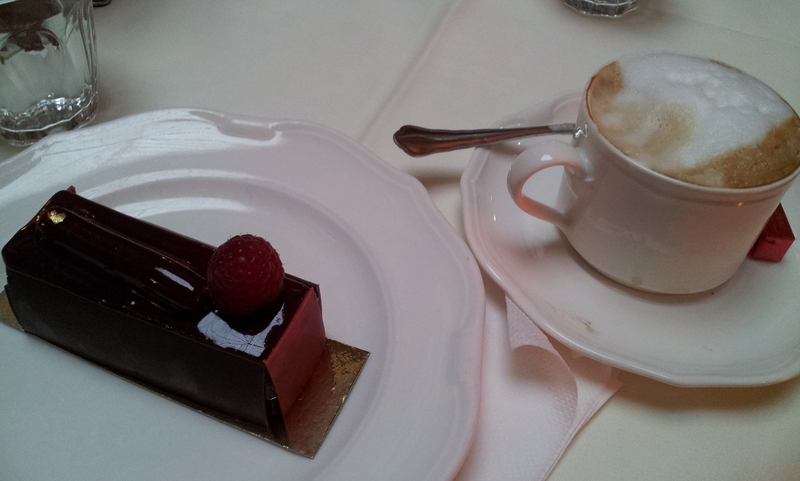 Over the years I have been at The Café Central countless times and every time I am deeply impressed of the luxury and elegance of this coffee shop, which is part of the famous and sterling Palais Ferstel. From the very first step you take into the Café Central you participate in the poshness of the aristocrats of the times when the Austrian Emperor and his class were still in charge. In Austria the monarchy ended in 1918. And it goes on that way. 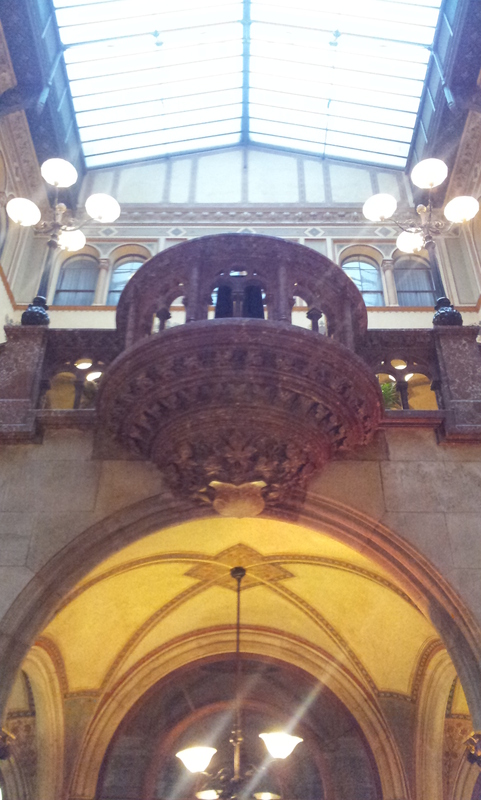 The whole Café Central is full of arcades, stucco and fresco, and a special large portrait of the last Austrian Emperor Kaiser Franz Josef and his Munich-born beloved empress Elisabeth, also known as Sissi to so many people around the world. It can be seen as irony of history that in this very Café Central, in this over the top elegant Grand Café, with all its splendor, Lenin used to stay many hours a day for many years, and created his down-to-earth philosophy of communism, also called Leninism. All happening under the supervision of the Austrian Secret Service. And as if this would not be enough of irony, it was back then right in the middle of WWI when the Austrian Emperor followed the suggestions of his counselors and gave orders for a secret operation, which sent Lenin on a train, within a sealed train to specific, via Switzerland and Germany to the enemy capital St. Petersburg in Russia to destabilize the Russian Tsar and his empire, forcing him to withdrawal from WWI. The intrigue worked out and Lenin started with the October Revolution and ended with the fall of the Russian Tsar and his family, with the implosion of the Russian Empire. Probably neither the Austrian Emperor nor anybody of the Austrian aristocracy would have anticipated that this Austrian initiated maneuver would go so far resulting in circa 70 years of communism through the Soviet Union in former Russia. 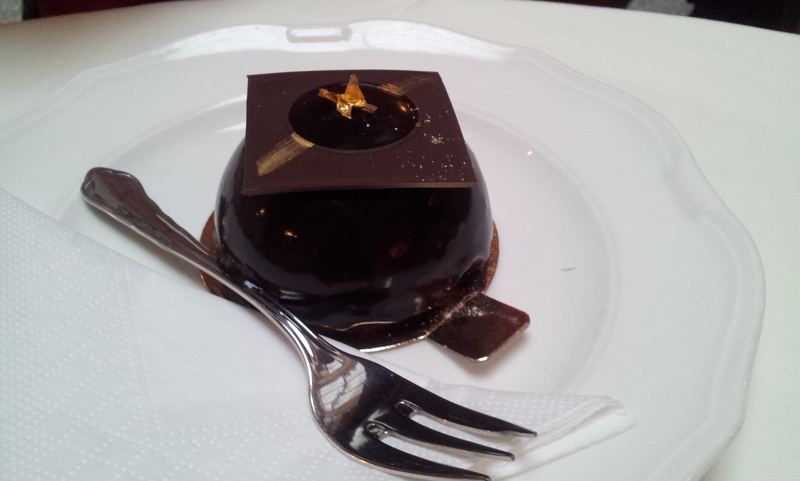 As for the service at the Café Central you can expect waiters in the true sense of the term. It’s all fine dining here. The staff is willing to help you, with strong emphasis on politeness. And the opening hours are decent: The Café Central is open every day from 7:30-22:00 (10 pm) except Sunday 10:00-22:00 (10 pm). Of course plugs and free WiFi for your devices you search in vain for, but hanging over your display probably isn’t the best idea to spent your time with, while you are at the posh Café Central. 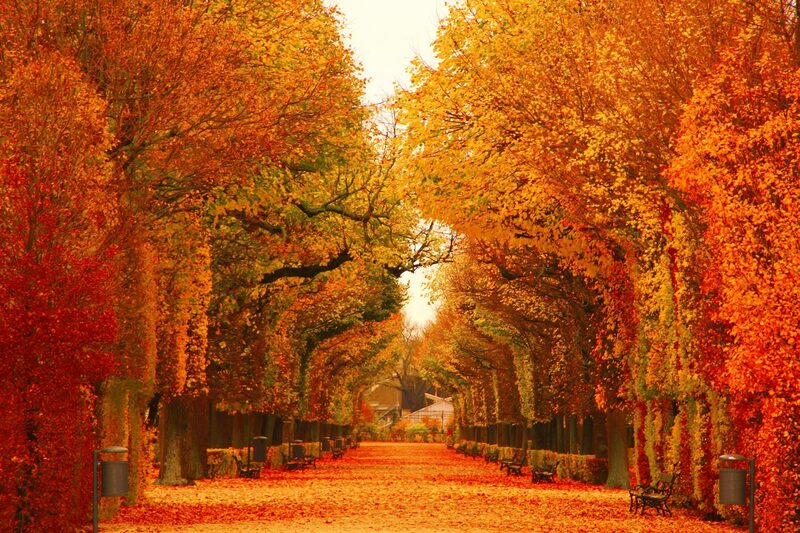 It can take a while to find a table (due to the tourists from around the world it is “please wait to be seated” meanwhile) since it is one of the most popular and therefore also touristic places in Vienna. All of these tarts look and taste super-delicious! And there are many more of this tarts to choose from in the showcase. 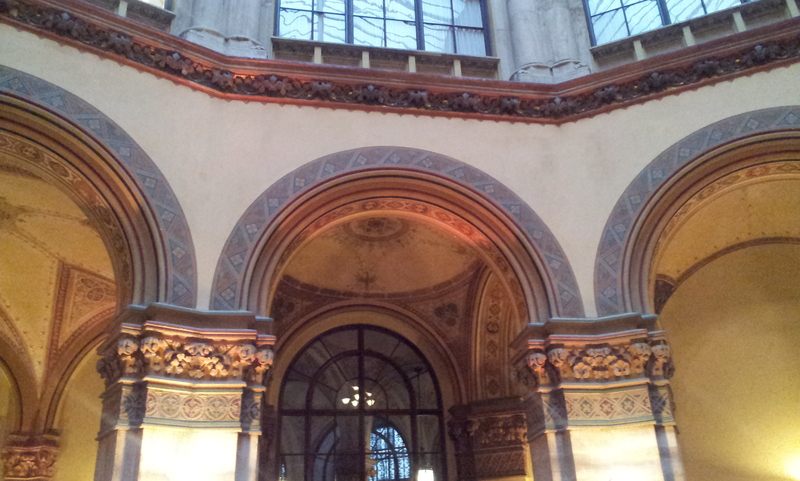 The Bottom Line: The Café Central, located in the Herrengasse 14, in 1010 Wien, is a top-notch establishment with long tradition and splendor in every detail. You take part in the life of the aristocratic class of the Austrian-Hungarian Empire, and in diving in this luxurious world of the aristocrats you are able to feel how it must have been to be an aristocrat in the old days. 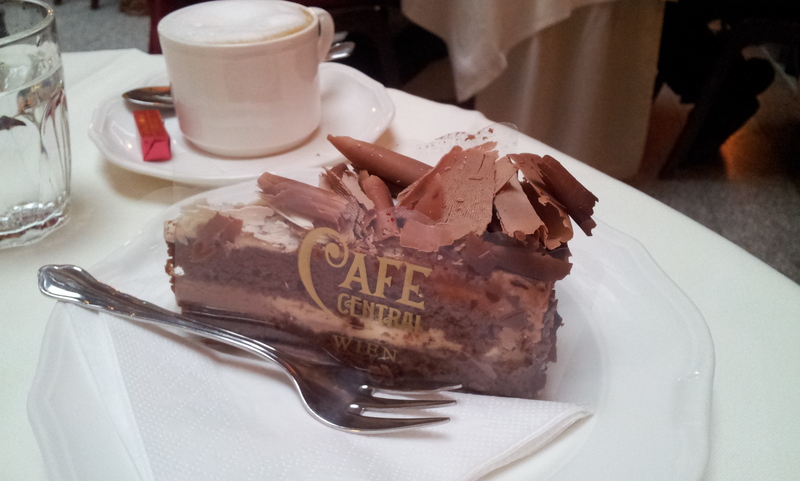 Make sure to stop by at the Café Central on your next trip to Vienna, if you are into a very elegant experience.